Tottenham have won their last 4 matches in Premier League. Manchester City have been undefeated in their last 9 matches in Premier League. Tottenham have scored in each of their last 9 matches in Premier League. Manchester City did not concede any goal in their last 5 matches in Premier League. Tottenham have scored the opening goal in 89% of their matches in Premier League. Manchester City have scored the opening goal in 78% of their matches in Premier League. Tottenham were leading at halftime in 67% of their matches in Premier League. Manchester City have been undefeated in their last 4 away matches in Premier League. Inter Milan have won their last 5 matches in Serie A.
Lazio have scored in each of their last 7 matches in Serie A.
Inter Milan have scored 54% of their goals after the 75th minute in Serie A.
Lazio have scored the opening goal in 78% of their matches in Serie A. 83% of Inter Milan’s conceded goals occured in the second half in Serie A.
Inter Milan have scored the opening goal in 78% of their matches in Serie A.
Inter Milan have won their last 3 away matches in Serie A.
FC Midtjylland have been undefeated in their last 11 matches. Brondby IF have scored in each of their last 7 matches. 77% of FC Midtjylland’s matches had over 2.5 goals scored in total. Brondby IF conceded at least 1 goal in each of their last 9 matches. FC Midtjylland have won their last 6 home matches. Brondby IF have scored in 100% of their away matches. FC Midtjylland have been undefeated in their last 5 away matches. Brondby IF have failed to win in their last 5 home matches. FC Midtjylland have scored 2 goals or more in each of their last 6 home matches. Brondby IF have scored in each of their last 6 away matches. FC Midtjylland have scored 32% of their goals after the 75th minute. Brondby IF have scored 2 goals or more in each of their last 3 away matches. 45% of Brondby IF’s conceded goals occurred after the 75th minute. Brest have won their last 7 matches in Ligue 2. 73% of Clermont’s matches had under 2.5 goals in Ligue 2. 91% of Brest’s conceded goals occured in the first half in Ligue 2. 44% of Clermont’s conceded goals occurred after the 75th minute in Ligue 2. Brest have scored in each of their last 7 matches in Ligue 2. Brest have won their last 3 away matches in Ligue 2. 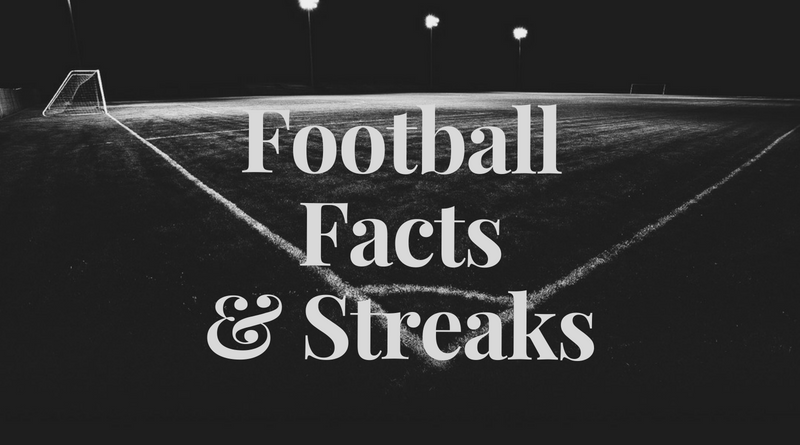 Brest have scored 2 goals or more in each of their last 6 matches in Ligue 2. 36% of Brest’s conceded goals occurred in the first 15 minutes in Ligue 2. 64% of Regensburg’s conceded goals occured in the first half in II Bundesliga. Regensburg have scored 29% of their goals in the first 15 minutes in II Bundesliga. Molde have been undefeated in their last 6 matches in Eliteserien. Molde have scored in 75% of their away matches in Eliteserien. 69% of Start’s points have been earned at home in Eliteserien. Molde have scored in each of their last 13 matches in Eliteserien. 69% of Molde’s matches had over 2.5 goals scored in Eliteserien. Molde have scored in each of their last 6 away matches in Eliteserien. 77% of AIK Stockholm’s matches had under 2.5 goals in Allsvenskan. Malmoe FF have scored in 77% of their away matches in Allsvenskan. AIK Stockholm have scored the opening goal in 77% of their matches in Allsvenskan. Malmoe FF have scored in each of their last 8 away matches in Allsvenskan. AIK Stockholm have been undefeated in their last 13 home matches in Allsvenskan. AIK Stockholm have scored in each of their last 13 home matches in Allsvenskan. 45% of Rizespor’s conceded goals occurred after the 75th minute in Super Lig. Besiktas have scored 2 goals or more in each of their last 4 home matches in Super Lig. 82% of Rizespor’s conceded goals occured in the second half in Super Lig. Besiktas have scored 33% of their goals after the 75th minute in Super Lig. Rizespor have scored 73% of their goals in the first half in Super Lig. Rizespor were leading at halftime in 67% of their matches in Super Lig.